Starting kindergarten represents a major milestone in the lives of young children (and their parents!). It is an important step into the unknown that while exciting can also be the cause of nervous anticipation for everyone involved. The good news is that it doesn’t have to be scary! Today’s technology-driven world is complex and changing rapidly. As it does, the expectations of what our children need to know when they enter kindergarten have changed as well. There is growing anxiety around how to define and instill a new and improved set of school-readiness skills that will best help them to succeed. Written with Julia Cook. "This book beautifully captures what we all know to be true - that who our children become is as important as what they know." 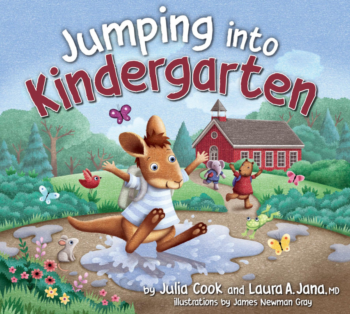 "A must-read for all children getting ready to start kindergarten...amazingly fun and engaging book that also teaches key skills that will be critical to their success in both kindergarten and life!" "As a Preschool, Young 5's, and Kindergarten teacher for the last 16 years, I have not come across a book that get's it like this one. Children who come into kindergarten with these skills will be more confident and parents will feel more at ease."